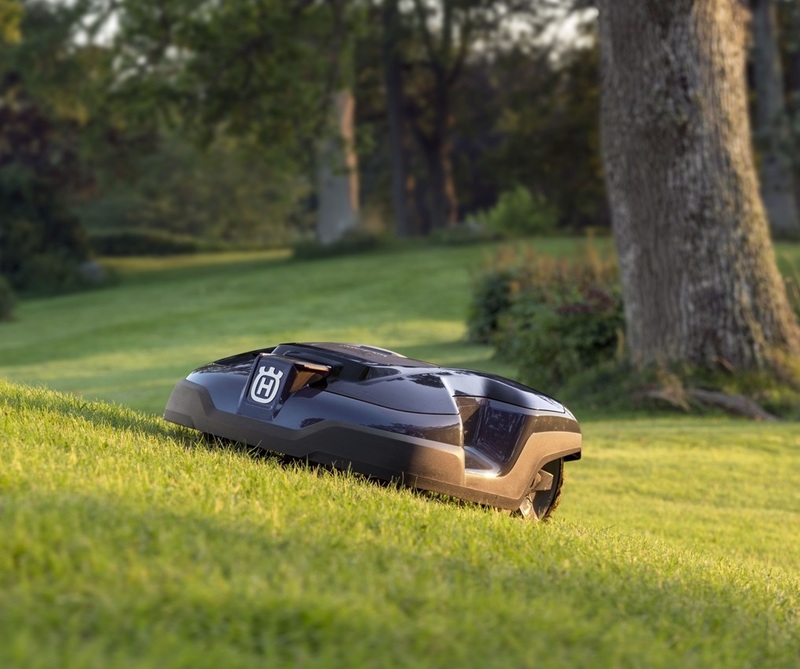 Robotic mowers cut the grass so you don’t have to, giving you time for more important things. Not only do you not have to cut the grass, the robotic mowers provide your lawn with great care, giving you a lush green finish. This is achieved by regularly cutting the grass and mulching the clippings back into the lawn, acting as a natural fertiliser. All our robotic mowers feature a long lasting Lithium-Ion battery that allows for short charging times and long cutting times. This also means some robotic mowers can easily maintain up to 5000m2. For more information on robotic mowers, please feel free to call us or come in store. We do provide an installation service free of charge with most robotic mowers, but please do call us for more information, a free site visit and a quotation. We can also arrange a viewing to see our demo machine in action.